Want to avoid feeling the chill when the snowy, icy weather comes to Saratoga Springs? All you have to do is trust the experts at Family Danz Heating & Cooling with all your boiler needs. 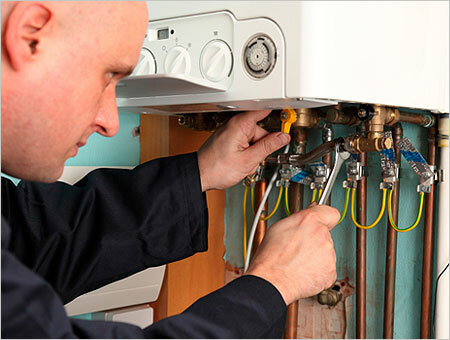 We’ve provided professional boiler repair and installation for more than 30 years. As a result, you can count on being treated with honesty, professionalism and courtesy when you count on us for the boiler needs of your home. At Family Danz, we’re pleased to offer our customers quality boiler products and services for their homes. We offer the best boilers available, built to be reliable, efficient and durable. Our professional, highly trained technicians will be happy to install a new boiler in your Saratoga Springs home. Additionally, they can help you get repair and maintenance services for your boiler as well. Count on Family Danz when you need boiler services for your Saratoga Springs home. When you need boiler products and services for your Saratoga Springs home, choose Family Danz to help. We provide boilers in Saratoga Springs and in all the surrounding areas, including Albany, Schenectady, Troy and Saratoga. Simply call us at 518.427.8685, and we will be happy to help with any boiler need you may have.